I promise to stop drinking, start exercising, and stop using foul language next year as well. 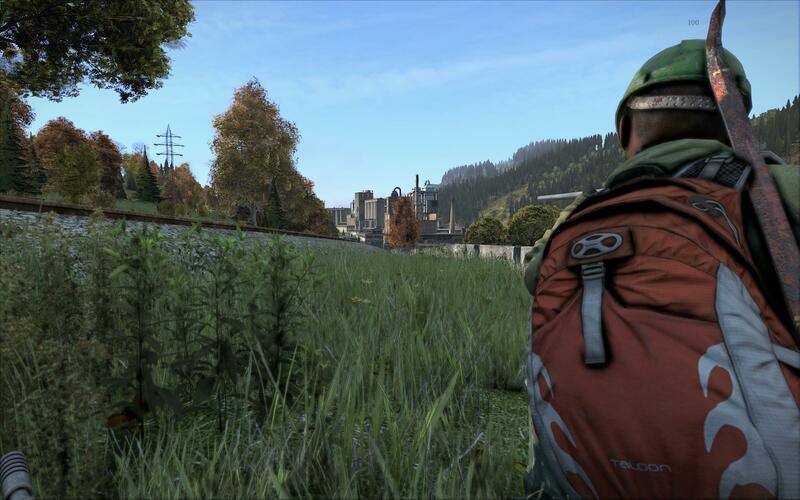 It’s been more than 5 years since official development on the original DayZ mod was stopped and creator Dean Hall announced that DayZ Standalone, a fully developed game version of the mod, was in the works at publisher Bohemia Interactive. The dev team hopes that the Standalone version can escape Steam Early Access sometime in 2018. In their most recent Status Report Blog, the team outlines the plan to release next year and to bring the project out of alpha status with the impending 0.63 update. Fans of the original mod had high expectations that the Standalone version would offer fixes and broad improvements to original experience and, because the engine, map, and gameplay design were in an advanced state, that an official release would not be terribly far away. Things didn't work out like that. The Standalone version was rushed out onto Steam Early Access and Hall left the project. The game has endured multiple engine changes, a console port announcement, and a decline in popularity relative to the insane amount of buzz that the project had initially carried in its early life. The current build of the game features some serious improvements to the original mod, most notably the updated Chernarus map that was released earlier this year, but still lacks much of the content that mod players enjoyed back in 2012. The overall design focus of the game has drastically changed from the mod days as well, with a shift towards scavenging and wilderness survival rather than the PvP focus the beta evolved into towards the end of its official life. The Status Report blog carries many of the same promises that have been made since the days of the original mod. The dev team has delivered on many of them over the last 5 years, but some features, like the zombies, continue to be in a perpetual state of unready. Fans hope that an official 1.0 release will tie it all together and the game that changed the PC gaming landscape can celebrate an escape from development hell. The original mod spawned a number of imitators, many of which are stuck in the same early access rut. PlayerUnknown’s Battlegrounds did not officially start development until early 2016, but the seeds of its existence were planted years ago in mod made for the original DayZ mod by PlayerUnknown himself, Brendan Greene. Greene’s DayZ Battle Royale mod laid the groundwork for PUBG and it’s takeover of the gaming landscape. It is expected to leave Steam early access within the month, possibly a year ahead of DayZ Standalone. While PUBG and DayZ are not the same style of game, they do share the same DNA and much of the same feel. It is unlikely that the finished DayZ Standalone can approach the success of PUBG, especially since it already experienced its popularity frenzy years ago, maybe 2018’s planned release can reignite the fire the project once enjoyed. Maybe the closing of the DayZ Standalone development book can be the opening of the door to its revival in the eyes of gamers. Is there any indication as to when the next patch will be out? Not till next year. They decided that they are not ready to deploy .63 undated till then. Awesome. I saw the video they posted a month + ago about all the improvements they've made and it was pretty dramatic. I love DayZ and will happily pop back in once it hits 1.0. I still feel burned by the standalone version. DayZ more like DayZZZZZZzzzzzzzZZZZZZzzzzzzzz because it’s such a snorefest. Get it?